The Pyle PRJLE78 projector creates a versatile home theatre experience. It's perfect for movies, sports, or TV shows anything you want on a big screen; projecting a picture size from 50 inches to a massive 200 inches in the comfort of your home. With a brightness of 2800 Lumens, it produces vivid colors with subtle details for rich image quality. The energy efficient LED lamp is rated to last over 50,000 hours. The projector boasts an output resolution of 1280 x 800 with 1080p support. Become fully immersed with big screen projection capability thanks to the Pyle PRJLE78 Multimedia Digital LED Projector. 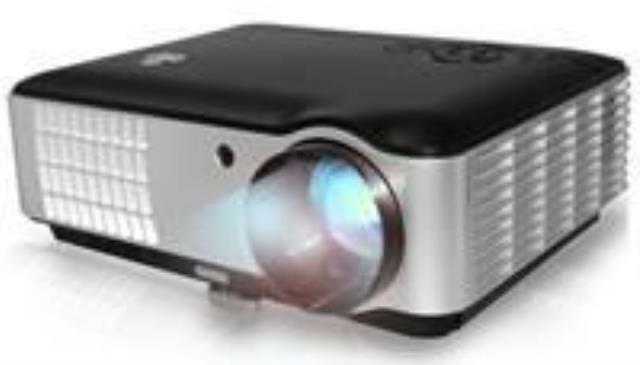 * Please call us with any questions about our digital led projector in Hammond LA.